Once there was a brilliant and happy child. Her name is Emily. She always obeys her mother and always do good at school. One day, her teacher gave her an assignment to know what is the meaning of integrity? So she asked her mother about it. “Well, before I will help you with your assignment, please run me an errand and buy sugar and spice at the store, I need it when I cook dinner later,” her mother said. Her mother handed her the money and off she went to the store. “Hello Mr. Tam, I would like to buy sugar and spice,” Emily said beaming to the man she knew as her friendly neighbor store owner. Emily then handed Mr. Tam the money. “Well, yes of course, Emily. Here you go and send my regards to your mother.” Said Mr. Tan as he gave Emily the packed items and her change. When Emily was on her way home, she noticed that there were two packs of sugar and two packs of spice in the grocery bag, so she went back and told Mr. Tam that he handed her two of each and she’s returning the extra. “Oh, I must have overlooked it as there were plenty of customers here a while ago. Thank you so much, Emily for being honest.” Said Mr. Tam. When Emily was home she noticed that her mother wasn’t home. She thought she must have been in the neighborhood, so she put the sugar and spice in the kitchen counter counted the exact change and place it back in her mother’s wallet. She then went to review some of her lessons at school. When her mother arrived, she noticed her wallet was neatly tucked back to its right place with the exact change from what she gave Emily. “So Emily, are you ready to do your assignment to know the meaning of integrity?” her mother inquired. “I am ready, mother,” replied Emily. “I heard what you did at the store today and I noticed you returned the exact change to my wallet and tucked it back to its right place. 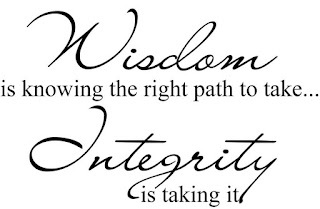 You know Emily, when you do the right thing even if no one is looking, you are unknowingly living integrity. You don’t need to tell others you have it, people will tell you instead you live it. 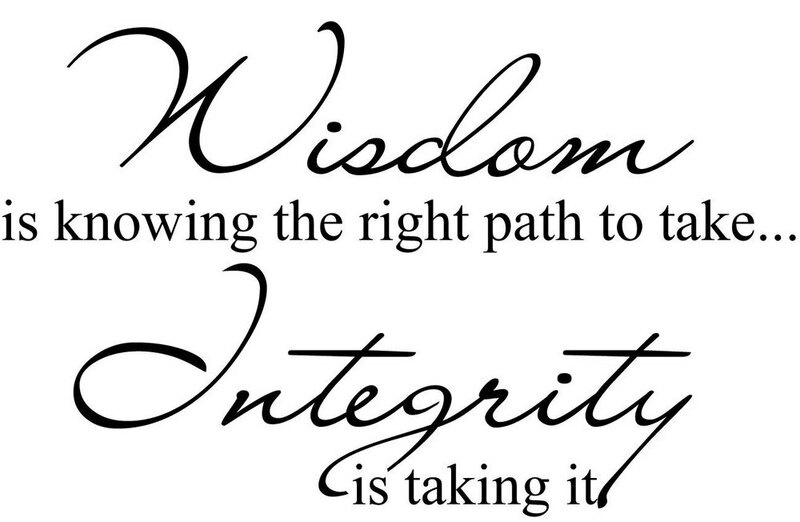 You see, integrity is about doing something right even if no one is watching and you just did it. I am so proud of you Emily.” her mother beamed.